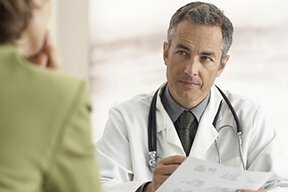 What does “Medically reviewed” mean? All the articles on this site, for which a medical professional has been interviewed and served as an expert source, have been medically reviewed by that individual. Content is medically reviewed by the post’s expert source to ensure factual accuracy. This means that the expert source reads through the entire article to make sure that his or her expertise has been accurately represented and quoted, and that the narrative is accurate – including for topics of a speculative nature. In addition, all imagery that accompanies the article is also reviewed by the medical expert source to ensure that it accurately represents the associated condition or topic. For articles in which the expert source is not a medical professional, they are still reviewed for accuracy by that expert source, to make sure that the information complies with what the industry of that expert source accepts as reliable and trustworthy information. If you feel that any of the content on this site is inaccurate or otherwise questionable, please contact us via the Contact Form.